Bioengineering is the science of applying concepts and methods of electronic, IT, mechanics and chemistry engineering to solve problems in life science. The bioengineering is an emerging field whose aim is of enhancing current knowledge of biological systems and creating new technologies for the behalf of individuals and society. Bioengineering acts in different areas. Examples are the technological, industrial, academic, clinical and the one concerning the hospital environment. Its goal is twofold: first, increasing the knowledge about the physical rules governing biological systems, secondly, development of new methodologies and devices for diagnostic, therapeutic or rehabilitation purposes. 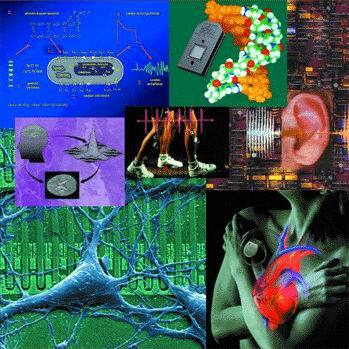 The basic bioengineering methodologies concern: the modeling of physiological systems, the description of electromagnetic phenomena, the analysis of biological data, signals and images, the application of tools for the analysis and design of medical devices, biomaterials, natural and artificial materials, human tissues, cells and biomechanical structures. The involved technologies include: medical devices (ranging from the elementary components up to the more complex structures), prosthetic devices, robots for biomedical applications, artificial intelligent systems, systems for the management and organisation of health facilities, telemedicine and the like. for the management of the health care system. Thus, the bioengineer must have, besides a strong engineering background (with a deep knowledge of mathematics, physics, chemistry, electronics, informatics and mechanics) also knowledge in the field of biology and physiology. Such a cultural training is not specialised but wide-ranging, allowing the bioengineer to easily adapt to constantly evolving technologies and the changing needs of both industry and health care structures. The formation of the bioengineer allows him to operate at different levels in the wide range of industrial activities and services where is required to face the impact of new technologies on human, and more generally, on the biological world. The University of Padova offers the Bachelor Degree in “Ingegneria Biomedica” (3 years) and the Master Science degree (Laurea Magistrale) in “Bioingegneria” (2 more years). Moreover, the Department of Information Engineering activates the Ph.D. school in Information Engineering, with Bioengineering curricula.